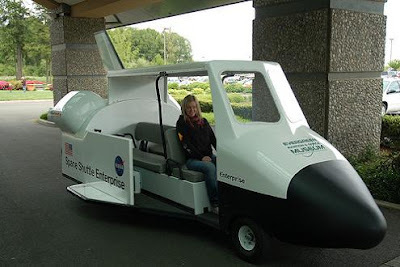 Collection of 'Unusual Golf Carts and Creative Golf Cart Designs' from all over the world. 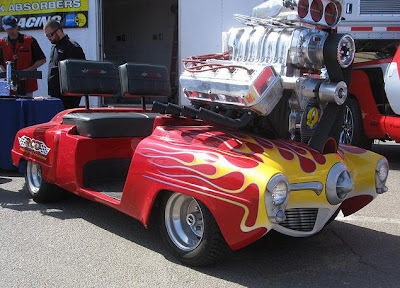 Hovercraft Golf Cart: Bubba's Hover is a project by Bubba Watson and Oakley.They created the world's first hovercraft golf cart. Using hovercraft technology, the BW1 glides over any terrain. 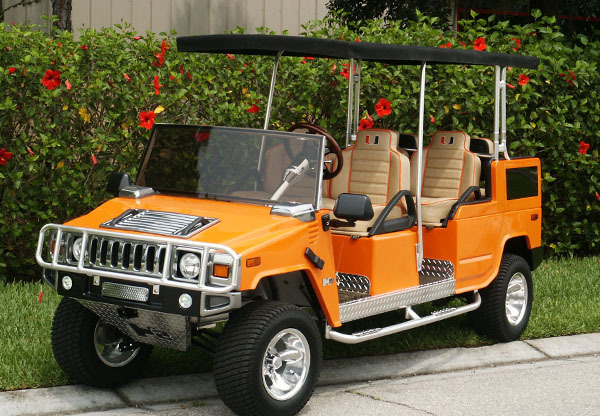 H2 Hummer Golf Cart: This cool H2 Hummer golf cart looks exactly like a tinnier version of the much powerful Hummer and best suits for off road golfing. 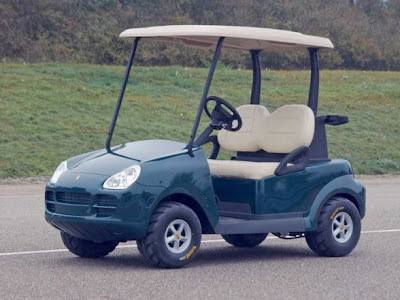 Porsche Cayenne Golf Cart: This luxury golf cart is the prototype model of the Porsche Cayenne. 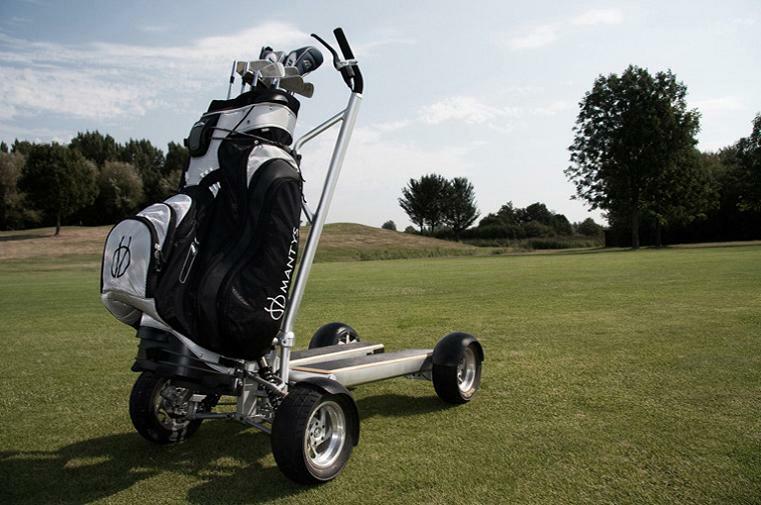 This cart is powered by a 3.2-bhp electric motor and can easily achieve a cruising speed of 19 mph. 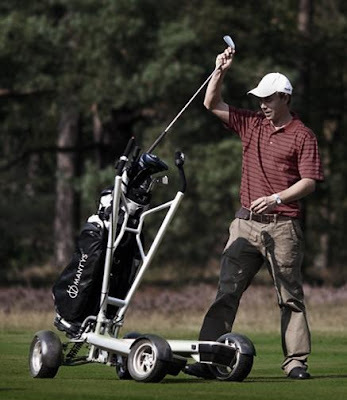 Motorized Golf Cart Scooter: Mantys is a compact, foldable electric powered scooter, with top speed of 16 km/h and will last up to 27 holes / 18 km on a single recharge. 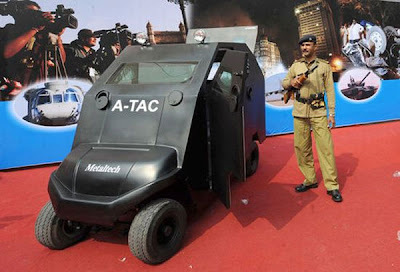 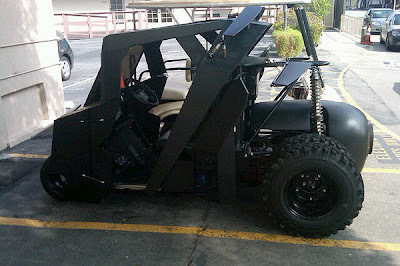 Armored Golf Cart: Metaltech golf cart has a top speed of fifteen miles per hour and you can get it for $45,000 USD. Golf Cart by Stephanie Wackernagel: A cool ecofriendly concept golf cart design by Stephanie Wackernagel. 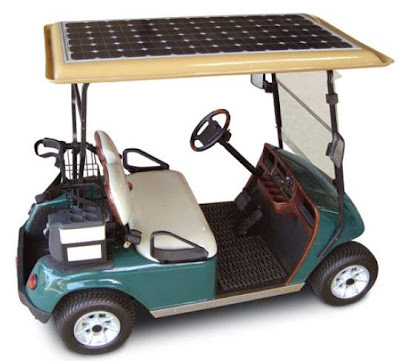 Solar Powered Golf Cart: This golf cart concept comes with 72 solarcells built into the roof; it includes mirrors, headlights, turn signals, brake lights, and a horn. 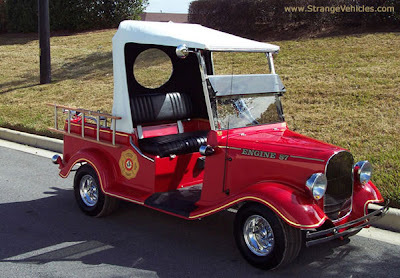 15 Creative Bathroom Faucets and Modern Kitchen Faucets - Part 2.